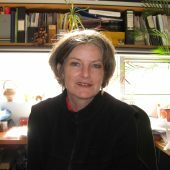 This interview with Dr Catherine de Lorenzo was conducted in 2008 when she was a senior lecturer in the faculty of the built Environment at the University of NSW. The interview was part of a small project about a then planned sculpture memorialising activist priest Father Ted Kennedy, and Mum Shirl [Shirley Smith], a renowned Aboriginal activist and social worker. (The sculpture subsequently has not eventuated.) 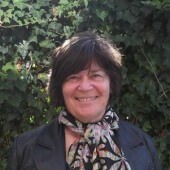 Dr de Lorenzo is an art historian and was a parishioner of St Vincent’s church in Redfern with which both Father Kennedy and Mum Shirl had lengthy associations. In her interview Dr de Lorenzo brings a scholar’s eye to issues surrounding public art and the memorialisation of individuals, including literal representation. In this excerpt she recalls both Father Ted Kennedy and Mum Shirl. I knew Ted when he was in Neutral Bay – I came to know him a little bit. And when he moved – he moved to Redfern in the early 1970s, very early 1970s, and eventually I went there as well. I started going there partly because I was trying to find some kind of relevant – a sense of relevant church. The main thing was, though, that Ted was such a warm kind of person. He became a very close friend, as he did of hundreds of people, and he was wonderful because he never gave advice, never judgemental, just listened, had lots of ideas. He seemed to attract around him a lot of creative people, a lot of artists, poets, all sorts of people, musicians. And he was very supportive of these people too, where he could be, and certainly promoted their work and so on. So, he was a very inclusive, encompassing, loving kind of presence. Shirley Smith [known as Mum Shirl] I came to know because of Ted’s knowing her. So, I’ve known Shirley, oh, since the early ‘70s as well. They’re both dead, of course, now. But, you know, Shirley held each of our children in her arms when they were babies. She – we’ve got lots of stories to tell about Shirley. I wasn’t one of the people that would go off to gaols with her and drive her all around the countryside. A lot of people did that, though. But certainly, yes, lots of very strong memories of Shirley, and of Ted.